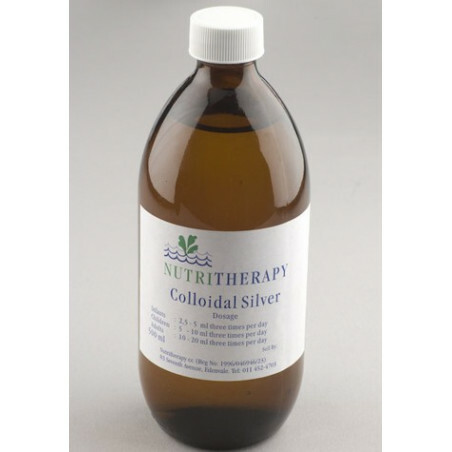 Colloidal Silver can be used as an Anti-Bacterial,Anti-Viral and Anti-Fungal agent, it is relatively tasteless. Ingredients Distilled Water, Silver, Magnesium,Zinc, Copper, Potassium Chloride, Hydrogen Peroxide. Colloidal Silver has been known to be an effective Anti-Microbial agent for many years. Colloidal silver is made by running a weak electrical current through two pure silver electrodes in distilled water. This suspends minute particles of silver in the water which react intra-cellularly to kill numerous pathogens . At Nutritherapy we use a special protocol where we combine common colloidal silver with colloidal zinc, magnesium and copper as well as a small amount of hydrogen peroxide. In Independent studies conducted at the University of Jerusalem this particular form of colloidal silver was found to be far more effective than colloidal silver alone, it also requires far less silver making it incredibly safe for human consumption. 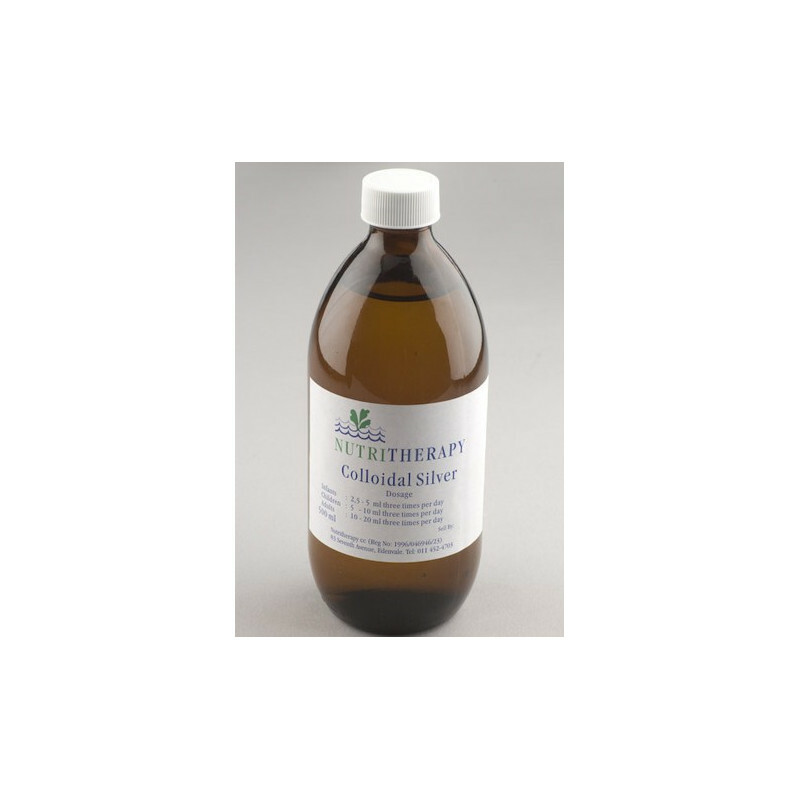 Colloidal Silver can be used as an Anti-Bacterial,Anti-Viral and Anti-Fungal agent, it is relatively tasteless and safe for use in children. It can also be used as an effective eye wash.